The Geriatric Psychiatry Online Course is an Accredited Group Learning Activity (Section 1) as defined by the Maintenance of Certification Program of the Royal College of Physicians and Surgeons of Canada, and approved by the Canadian Geriatrics Society. 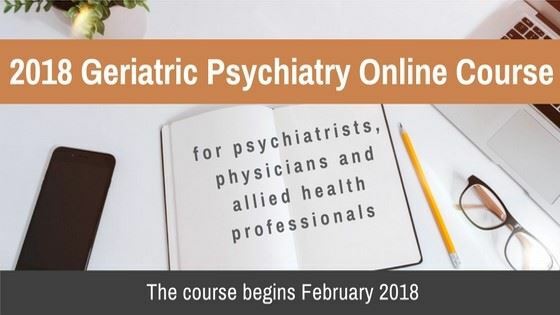 Each participant may claim up to a maximum of three (3) hours per module for participation in the program; the maximum number of hours for the Geriatric Psychiatry Online course is 39 hours. You are responsible for logging your time spent on the program on an honour-system basis.